Beginning Wednesday, October 5, 2016 the City of Milton will resume picking up recyclables at city residences. The service will be the same as it was before with an additional $5 per month for recycling. plastic bottles, glass bottles and aluminum cans. 2. Cardboard boxes must be broken down and stacked. 3. News print or sheet paper must be in containers. Containers will be provided. Call city hall. 4. Plastic bottles must be bagged. 5. Glass bottles must be in cardboard boxes or containers. 6. Aluminum cans must be bagged. For more information please call 983-5400 or stop by City Hall at 6738 Dixon Street. 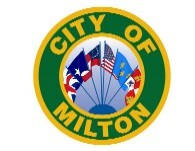 Under the City Code of Ordinances, Section 40-33, only the City of Milton is to provide recycling services for city residents.